By 2007, pro snowboarder Jeremy Jones found that more and more resorts he’d always counted on for good riding were closed due to lack of snow. Something was clearly going on, and he felt the need to act. But he couldn’t find any organisations focused on the snowsports community on climate—there was a gap between the impacts that climate change was already having on our mountains, and any organised action being taken to address it. So Jeremy founded Protect Our Winters. This piece is an exclusive product of Zero G's very special Protect Our Winters France collaboration. We chose the factory and printer, Rapanui, for their traceability and eco-cred. The design was done by one of France's finest young artists, LAURIANE MIARA, and is of a bear observing changing mountains through the lens of its goggles. 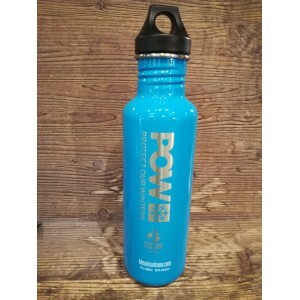 The Classic 800ml is the original stainless steel water bottle designed for kids and adults with easy hydration in mind. Single wall design is lightweight and easy to bring anywhere. Klean Coat™ powder coat finish is 4X more durable, chip-resistant and safe for people and planet. This 100% Organic cotton longsleeve men's teeshirt is a straight-cut piece weighing in at 155GSM, which is fairly light, perfect for summer or autumn or warmer days. It's ribbed in the collar and hemmed at the end of the sleeves and waist. 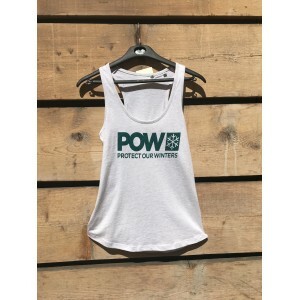 We source directly from POW, so buying this tee shirt helps them fundraise in their fight against climate change. This thin, 120gsm 100% organic cotton tee is perfect for summer days. It's generously cut, with a wide, boxey fit and isn't too long so flatters the body well. We source these directly from POW so buy buying from us you're supporting POW's struggle against climate change. Good job! 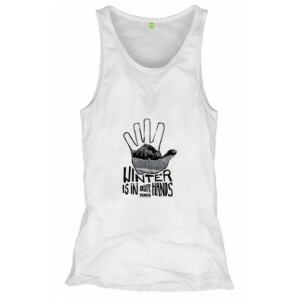 This 100% Organic cotton women's tank top is a straight-cut piece weighing in at 120GSM, which is fairly light, perfect for summer or autumn or warmer days. It's ribbed in the collar and hemmed at waist. We source direct from POW, so buying from us helping Protect Our Winters in their fight against climate change. This 100% Organic cotton shortsleeve men's teeshirt is a straight-cut piece weighing in at 155GSM, which is fairly light, perfect for summer or autumn or warmer days. It's ribbed in the collar and hemmed at the end of the sleeves and waist. This is a Protect Our Winters POW Retro Trucker Cap. Full logo embroidery on front panel, plenty of adjustability out back. The 100% Organic Cotton and ethically produced piece is the result of a joint venture between Zero G Chamonix and Jeremy Jones' charity Protect Our Winters. We buy directly from POW, which makes them money to be able to fight climate change.